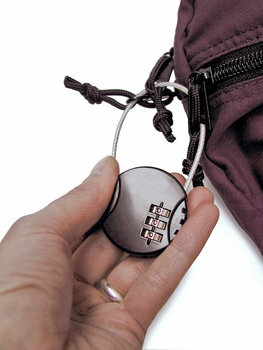 Get Looped: Our FlexiLock features a handy 5½-inch cable, ideal for locking together several zippers at once. It's also long and flexible enough to help secure your bag to the overhead rack of a train car (or to a solid piece of furniture) while you run to the bathroom. 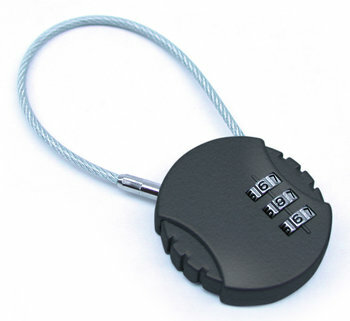 Be Key-Free: Set your own three-digit combination, and you'll never need to fumble for those itty-bitty lock keys ever again. Dimensions: 1 ½" x 1 ½"